Worried about your opponent hiding the ball when they serve? Leon the Magician will make the whole table disappear. Leon the Magician is stupefying table tennis fans around the world. The professional magician is a member of The Magic Circle, a selective organisation where you must serve two years as an apprentice before gaining full membership via performance or magical thesis. That’s right, he is a member of a real life Hogwarts. Not only is Leon a magical maestro, but he has also been playing table tennis seriously since the age of 10 and now coaches at the Urban Table Tennis Club in between his sell-out shows in local London theatres and private events. Inspired by his trip to Düsseldorf for the Liebherr 2017 Championships, Leon tested his talents in a trick that would have made Professor McGonagall and made a table tennis table disappear mid-rally. 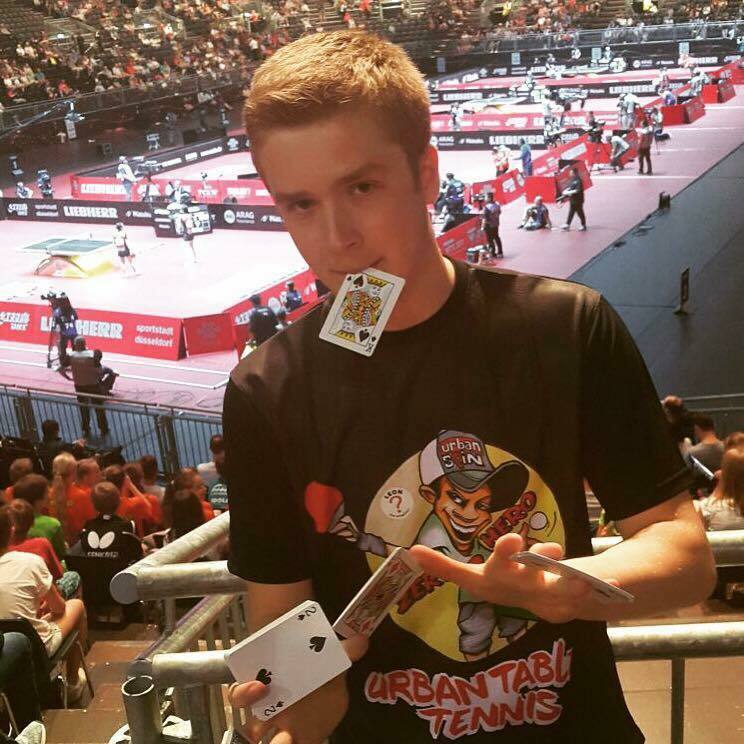 Leon is a familiar face at tournaments, entertaining competitors, spectators and muggles with magic tricks.The 21 year old has already performed a number of jaw dropping illusions such as walking through a glass door at a table tennis centre; an absolutely smashing trick you have to admit. Checkout Leon the Magician’s YouTube channel here.